6801401 MCW020LC YALE MCW020LC Pallet stakers MCW series. Spare Parts Catalog. Service (workshop) Manual. Operator's Instruction Manual. 6801402 MCW025-E YALE MCW025-E Pallet stakers MCW series. Spare Parts Catalog. Service (workshop) Manual. Operator's Instruction Manual. 6801403 MCW025LC YALE MCW025LC Pallet stakers MCW series. Spare Parts Catalog. Service (workshop) Manual. Operator's Instruction Manual. 6801404 MCW030-E YALE MCW030-E Pallet stakers MCW series. Spare Parts Catalog. Service (workshop) Manual. Operator's Instruction Manual. 6801405 MCW030LC YALE MCW030LC Pallet stakers MCW series. Spare Parts Catalog. Service (workshop) Manual. Operator's Instruction Manual. 6801406 MCW040-E YALE MCW040-E Pallet stakers MCW series. Spare Parts Catalog. Service (workshop) Manual. Operator's Instruction Manual. 6801407 MCW040LC YALE MCW040LC Pallet stakers MCW series. Spare Parts Catalog. Service (workshop) Manual. Operator's Instruction Manual. 6801409 MRW020 YALE MRW020 Pallet stakers MRW series. Spare Parts Catalog. Service (workshop) Manual. Operator's Instruction Manual. 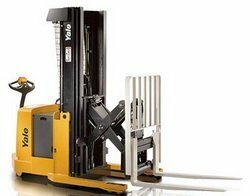 6801410 MRW020-E YALE MRW020-E Pallet stakers MRW series. Spare Parts Catalog. Service (workshop) Manual. Operator's Instruction Manual. 6801411 MRW030 YALE MRW030 Pallet stakers MRW series. Spare Parts Catalog. Service (workshop) Manual. Operator's Instruction Manual. 6801412 MRW030-E YALE MRW030-E Pallet stakers MRW series. Spare Parts Catalog. Service (workshop) Manual. Operator's Instruction Manual. 6801414 MSW020-E YALE MSW020-E Pallet stakers MSW series. Spare Parts Catalog. Service (workshop) Manual. Operator's Instruction Manual. 6801415 MSW025-E YALE MSW025-E Pallet stakers MSW series. Spare Parts Catalog. Service (workshop) Manual. Operator's Instruction Manual. 6801416 MSW025-F YALE MSW025-F Pallet stakers MSW series. Spare Parts Catalog. Service (workshop) Manual. Operator's Instruction Manual. 6801417 MSW030 YALE MSW030 Pallet stakers MSW series. Spare Parts Catalog. Service (workshop) Manual. Operator's Instruction Manual. 6801418 MSW030-E YALE MSW030-E Pallet stakers MSW series. Spare Parts Catalog. Service (workshop) Manual. Operator's Instruction Manual. 6801419 MSW030-F YALE MSW030-F Pallet stakers MSW series. Spare Parts Catalog. Service (workshop) Manual. Operator's Instruction Manual. 6801420 MSW040 YALE MSW040 Pallet stakers MSW series. Spare Parts Catalog. Service (workshop) Manual. Operator's Instruction Manual. 6801421 MSW040-E YALE MSW040-E Pallet stakers MSW series. Spare Parts Catalog. Service (workshop) Manual. Operator's Instruction Manual.